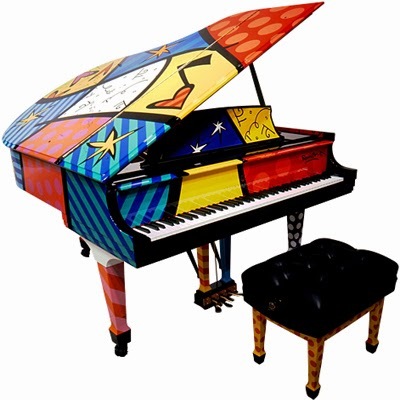 Sound of Harmony is one of the most prized grand pianos ever made in the long and storied history of Steinway & Sons. It was conceived and commissioned by Chinese art collector and music lover, Guo Qingxiang. Sound of Harmony features the inlaid image of Peacock, a traditional ink-wash painting by renowned Chinese artist Shi Qi. 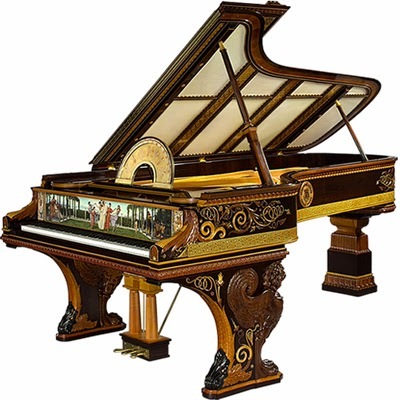 Nearly 40 different veneer woods from around the world were used to recreate this masterpiece painting, including Tamo Ash, Tulip Wood, Amboyna Burl, Olive Ash, Rosewood, Macassar Ebony, Birdseye Maple and Brazilian Rosewood. 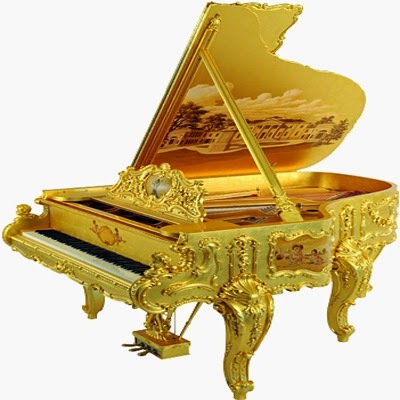 Covered in 22 karat gold, the opulent Doheny bears true testament to Steinway’s consistent excellence in executing the most extraordinary of all designs, past or present. Furniture veneer master, Thomas Schrunk says, “burl is the most difficult and beautiful of veneers”. 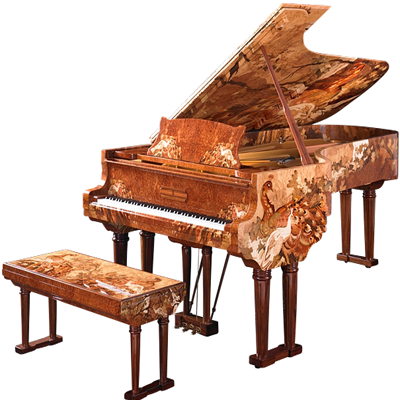 His masterpiece, Europa III is a magnificent treasure of bookmatched burlwoods, featuring a stunning contrast of two rare examples, Walnut and Carpathian Elm. 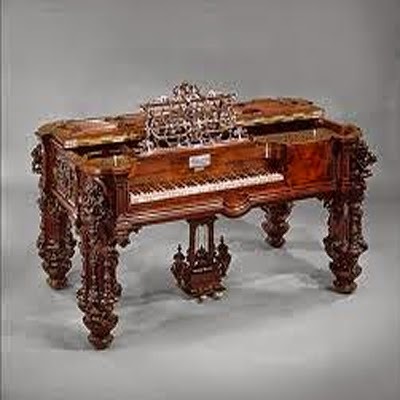 This costly showpiece of Renaissance and Rococo Revival eclecticism, an obvious status symbol perhaps intended for display at New York's Crystal Palace exposition, elevated the reputation of the English immigrants Robert Nunns and John Clark, partners in New York since 1833; they had exhibited an equally ornate piano in London in 1851. Built on the scale of a billiard table, this massive rosewood instrument stands on elephantine legs surmounted by lush carved bouquets. Slips of mother-of-pearl, tortoiseshell, and abalone embellish the seven-octave keyboard. Within, a lacquered iron frame reinforces the case. The felt-covered hammers could have been made by machines invented by Rudolph Kreter, who assigned his patent to Nunns & Clark in 1853. 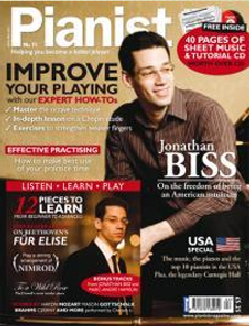 At that time, some eighty employees, including members of the Steinway family, were producing about three hundred instruments annually at Nunns & Clark's factory in Setauket,Long Island.